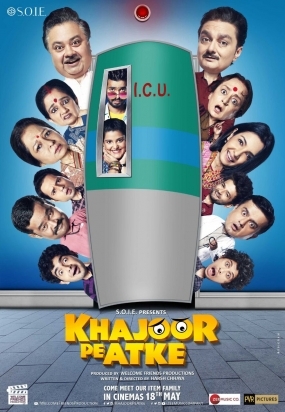 Khajoor Pe Atke movie trailer has released now, This is an upcoming comedy film, written and directed by Harsh Chhaya who makes his directorial debut. Manoj Pahwa, Vinay Pathak, Dolly Ahluwalia, Seema Pahwa, Sanah Kapoor, Suneeta Sengupta are in the main lead role. The film is produced by Welcome Friends Productions and presented by S.O.I.E., the film hits cinemas nationwide on 18th May and is distributed by PVR Pictures with music on Zee Music.